The most recent short interest data was recently released for the 02/15/2019 settlement date, and First Horizon National Corp is one of the most shorted stocks of the Russell 3000, based on 6.47 "days to cover" versus the median component at 5.03. There are a number of ways to look at short data, but one metric that we find particularly useful is the "days to cover" because it considers both the total shares short and the average daily volume of shares typically traded. FHN may be a good story, but the charts tell a different tale. The most recent short interest data was recently released for the 08/15/2018 settlement date, and First Horizon National Corp is one of the most shorted stocks of the Russell 3000, based on 6.80 "days to cover" versus the median component at 5.05. There are a number of ways to look at short data, but one metric that we find particularly useful is the "days to cover" because it considers both the total shares short and the average daily volume of shares typically traded. Cramer, talking with Larry Kudlow, says the U.S. economy is good, but investors don't want to own any company that does a lot of business in China. Bryan Jordan, chairman, president and CEO of First Horizon National, talks to Jim Cramer about rising interest rates. Adrienne Sipe Joins First Horizon National Corp.
Jim Cramer takes a closer look at American Electric Power, Fifth Third Bancorp, Applied Materials, EPR Properties, GW Pharmaceuticals and Longfin. 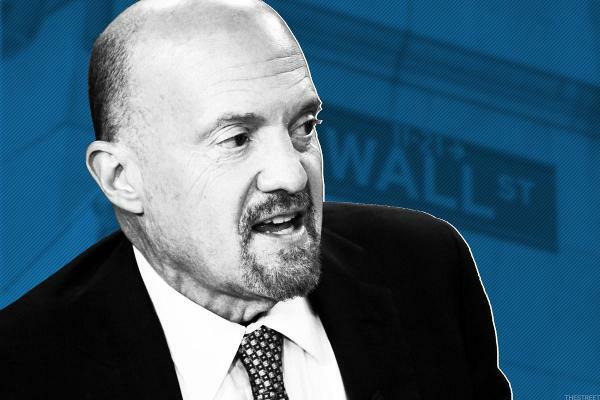 Jim Cramer calls it a tsunami of selling. Not one sector of the stock market got a break in Thursday's tariff-inspired decline.